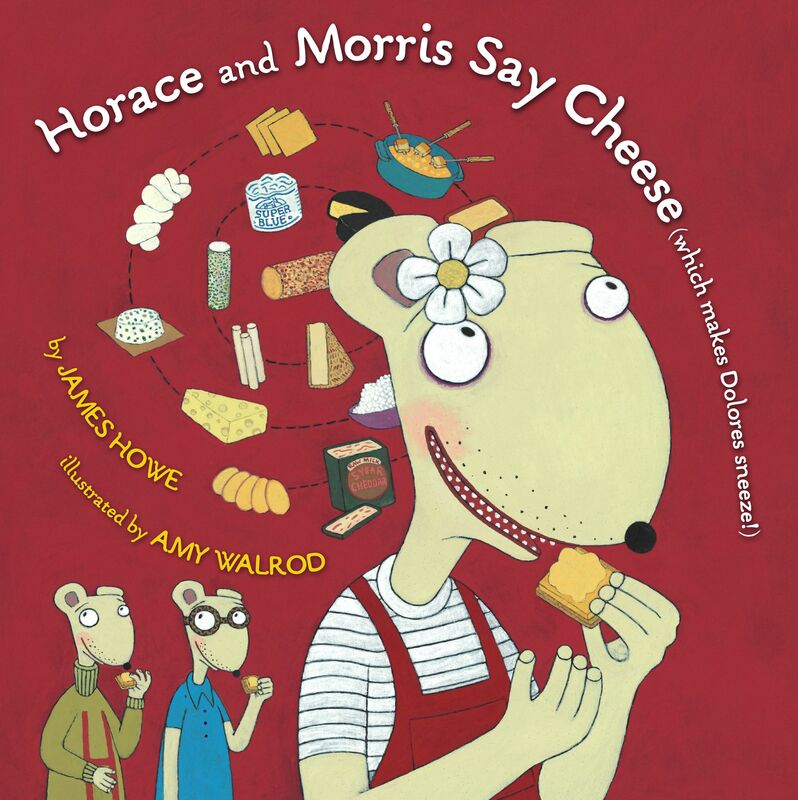 Horace, Morris, and Dolores like cheese more than anything else in the world. So imagine their distress when Dolores develops a cheese allergy! All of a sudden, she's stuck eating cookies and peanut butter sandwiches while everyone else enjoys that delicious cheese. Things get even worse when they find out that the Everything Cheese Festival is going to roll into town in a couple weeks. Should Dolores leave town? Hide under her bed? Instead, she decides to try her own hand at cooking foods she can eat. Soon, everyone loves the cheese-free snacks Dolores is eating, and they all learn that there is more to life than cheese. Amy Walrod won the Golden Kite Award for The Little Red Hen Makes a Pizza. Her first picture book for Atheneum was the bestselling Horace and Morris But Mostly Dolores. She lives in Cambridge, Massachusetts.